Learn how to make classic fried rice but with farro instead of rice. It’s just as delicious but way healthier. 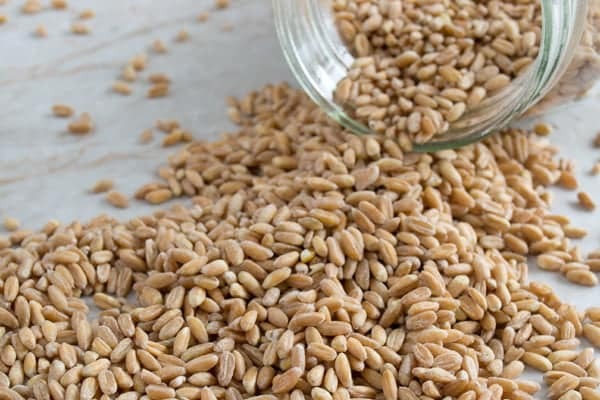 Ever since I first discovered farro and how to cook it, it’s been one of my favorite grains. 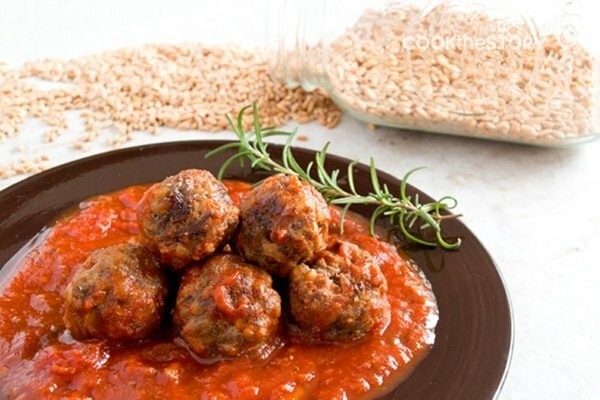 It’s so quick and easy to cook and it’s tasty, healthy and hearty. 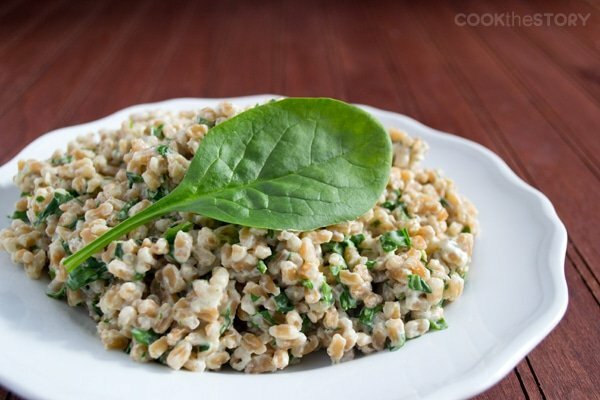 Farro can be used in place of rice or pasta in so many dishes. 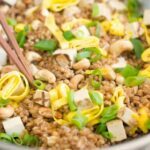 I’ve been subbing it into a lot of recipes lately so I decided to do a farro mini-series on the blog and share my favorites with you. In the weeks ahead there will be tons of farro recipes on this site. I might mix in some other things so that nobody gets bored, but get ready because Farropalooza is coming your way! To start out, I substituted farro in for rice in a tasty Special Fried Rice (or rather, Special Fried Farro) recipe. 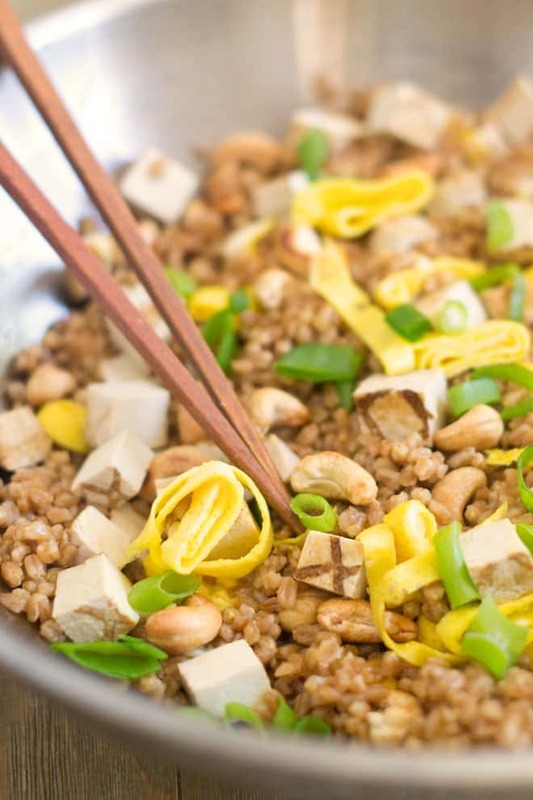 This one has delicious sesame and soy flavors, scrambled egg, tofu, cashews and green onion. It works as either a side dish or as a main course. I often make a big batch and use it as a main course one night and then the rest as a side dish the next night. To make it, you cook the farro according to these instructions. Then you add it to some oil in a large skillet or wok (this is my wok. I love the thick metal and its flat bottom) with some soy sauce. To that you add roasted cashews, pre-marinated and baked tofu (have you seen this stuff? I love it! It’s the best tofu ever, hands down) and scrambled eggs. 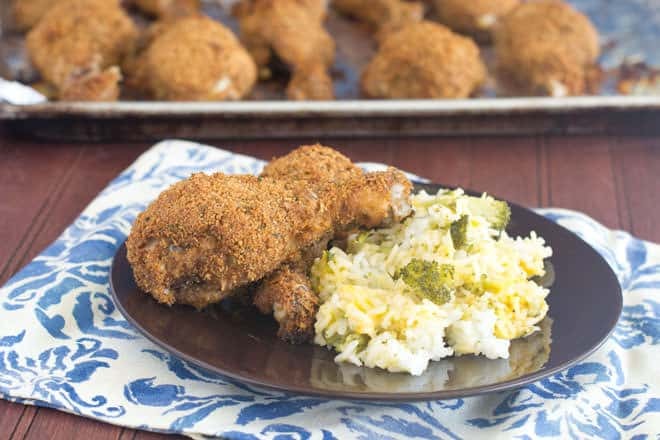 Warm everything through and then serve topped with chopped green onions. O.K., here’s the recipe and don’t forget to come back here over the next couple of weeks for more farro fun. Disclosure: This post contains an Amazon affiliate link. If you click it and then buy something, I receive a small commission. This is at no additional charge to you. All opinions are my own.